Rich Weinstein went to bed on July 24 after posting a comment on a Washington Post blog post from his iPad. “EVERYONE PLEASE TAKE JUST ONE MINUTE TO WATCH THIS VIDEO,” he wrote. 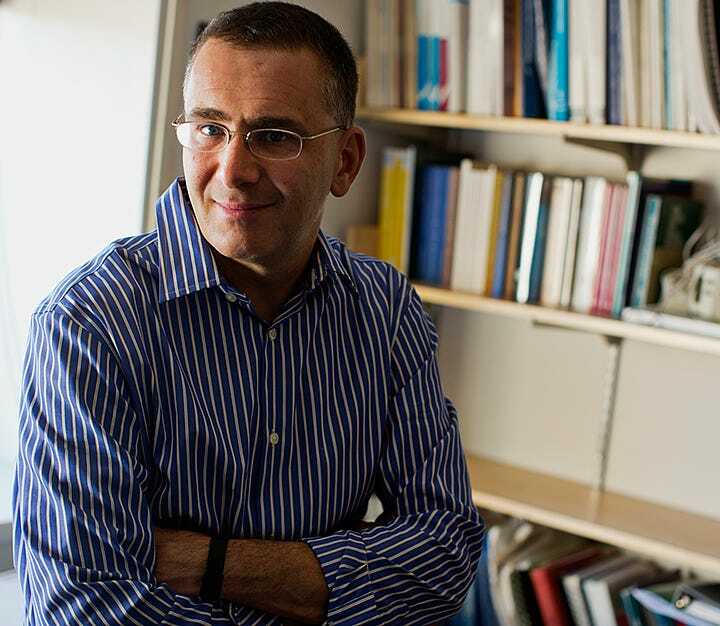 For months, he had been trying to bring to light past comments from Jonathan Gruber, the MIT economist who was one of the authors of the Massachusetts health law that served as the model for Obamacare. His comment on the Post story finally did it. Mid-morning on July 25, Weinstein, an independent investment analyst, grabbed his iPad, turned it on, and searched for “Jonathan Gruber” on Google. He saw his name next to Gruber’s. The story was everywhere. For more than a year, Weinstein has been digging up past remarks made by Gruber, one of the key architects of the Affordable Care Act. 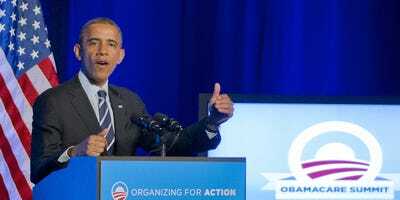 Those comments from Gruber have roiled the debate over the most high-profile ongoing legal challenge to undo the law — and Republicans are planning to use them as ammunition in their messaging against Obamacare. The comments Weinstein surfaced in July, where Gruber made comments critics of the healthcare law characterised as making the case for the plaintiffs in the legal challenge, were only the beginning. This week, at least three more of Gruber’s past comments have surfaced, jut days after the Supreme Court agreed to hear a case that could potentially cripple President Barack Obama’s healthcare law. In these remarks, Gruber insulted American voters and painted the architects of the Affordable Care Act and its supporters in Congress as having been intentionally opaque about the law in order to get it passed. Weinstein’s first revelation this week was from an October 2013 conference, during which Gruber said the lack of transparency throughout the legislative process was a “huge political advantage” for Democrats trying to pass the bill. He said the law was written in a “tortured way” so the Congressional Budget Office wouldn’t score the mandate to buy health insurance as a tax. Gruber did not return multiple requests for comment for this story. However, the day after his first comments surfaced this week, he went on MSNBC and apologised. But in the past two days, the second and third rounds of controversial Gruber comments have come to light. In the second, Gruber made another remark about how Congress was able to pass the law because the American public was “too stupid” to grasp its finer points. And in the third clip (seen around the 29-minute mark of that link), which was first reported on by The Daily Caller, Gruber described how Congress was able to exploit the American public’s lack of awareness of economic policy with respect to the healthcare law’s tax on so-called “Cadillac” insurance plans. He said it was common knowledge among people debating the law that the cost of the plans would eventually be passed on from the insurance companies to American taxpayers. “It’s a very clever basic exploitation of the lack of economic understanding of the American voter,” Gruber said during an appearance at the University of Rhode Island in 2012. The newly minted Republican majority in Congress is planning to use the comments as a messaging tool. One senior Republican congressional aide told Business Insider they were “sure” Republicans will employ the comments broadly in their Obamacare messaging. 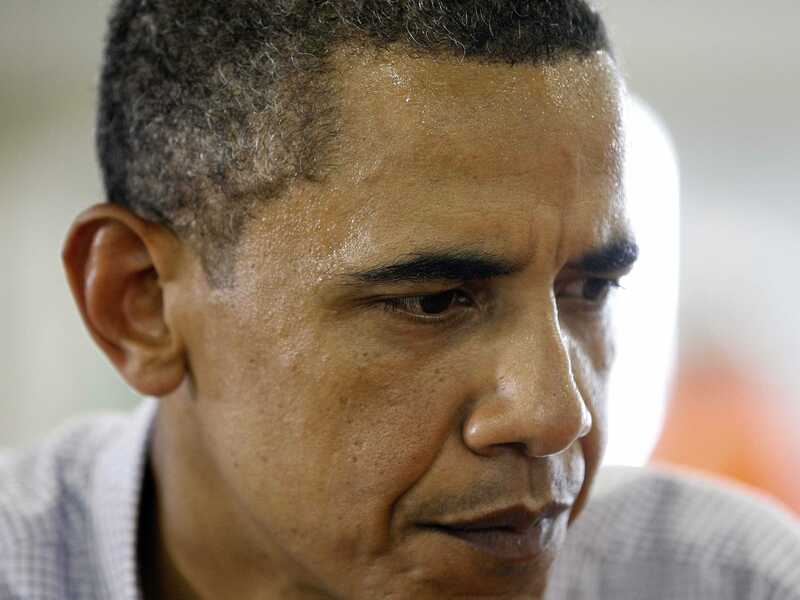 Almost on cue Thursday, the office of House Speaker John Boehner slammed the comment. Boehner also reiterated that he and incoming Senate Majority Leader Mitch McConnell have made a renewed commitment to repeal the law. Other Republican congressional aides on Capitol Hill said the comments would likely be leveraged in potential hearings on the law. Now that Republicans control the Senate, they plan to hold more hearings on the Affordable Care Act in general. And controversial statements made by one of the law’s key architects serve as potentially prime fodder for arguments against the law. Democrats, meanwhile, have moved quickly to distance themselves from Gruber and from the comments in general. “I don’t know who he is. He didn’t help write our bill,” House Minority Leader Nancy Pelosi told reporters Thursday morning — even though, in 2009, her website touted his work. Weinstein, for his part, has no opinion on the political or policy implications of the videos. He simply wants the footage out in the open for the public to watch. Weinstein said his premiums doubled, and on Wednesday afternoon, he got more bad news — his premiums are projected to be about 26.7% higher than the doubling next year. He’s a frequent watcher of cable television, and some of the guests who appeared most frequently on cable-news shows described themselves as the “architects” of the law. He started to look into some of them — David Cutler, Ezekiel Emanuel, and Gruber, among others — to get a better understanding of certain provisions of the law and how it came to be. “I thought, I’ll bet you these guys might have left a paper trail. Because they’re not part of the administration or talking heads,” Weinstein said. Nothing about Cutler or Emanuel particularly stood out. But Gruber seemed to have more of a political bent, Weinstein noticed. One comment from a PBS “Frontline” interview made him perk up. In that appearance, Gruber talked about former Republican presidential candidate Mitt Romney — who instituted a similar, state-level reform in Massachusetts — and he said that, as a Democrat, he was impressed with Romney and scared he’d eventually become president. Weinstein remembered Gruber had suggested that states, not the federal government, could only set up exchanges. In the case before the Supreme Court, the plaintiffs are arguing the Affordable Care Act only allows for states to set up the exchanges and any federal subsidies handed out for health insurance are illegal. “I couldn’t have said it better myself!” Michael Cannon, the director of health policy at the Cato Institute and one of the key architects of the Halbig lawsuit, told Business Insider in an interview after Gruber’s comments surfaced. But for a while, Weinstein had trouble getting anyone to take the bait on his scoop. He emailed Indiana’s attorney general, who is at the forefront of a similar lawsuit to Halbig, but did not hear back. He tried hard to get the clip into a reporter’s hands, but not one would budge. “The people who are now calling me are the ones who didn’t want anything to do with the video I sent them,” Weinstein said. Cannon was among the first to notice Weinstein’s video when it began circulating after his comment on The Washington Post story. He published a blog post touting the video on Forbes, where he is a contributor. This round was similar. Weinstein found the clips two days before the midterm elections, but no one seemed interested. He eventually pushed the video out on his Twitter feed, which he estimated had about 20-25 followers last week. The message to Weinstein: A relatively average guy can have a big effect on the conversation. Weinstein stressed many other people could have a similar impact.